Arizona’s budget: Just who are the winners and losers when cash is scarce? The ambitious education agenda Gov. 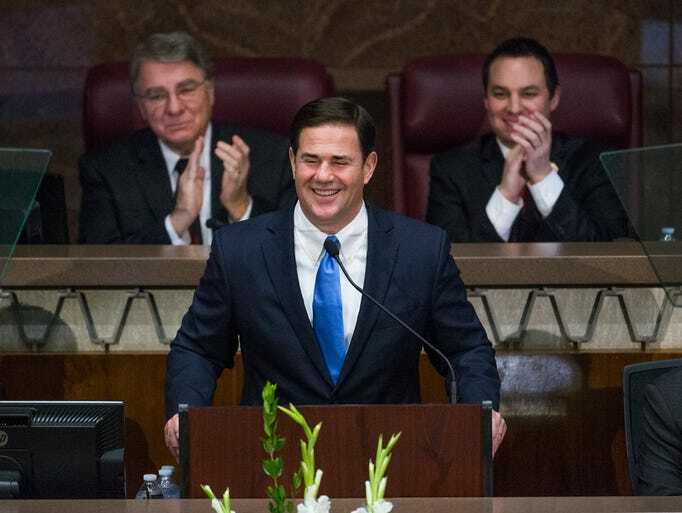 Doug Ducey outlined Monday left many wondering how the state can afford his priorities — pay raises for teachers and expansion of full-day kindergarten, among other ideas — when extra cash is scarce. This latest tug of war between what the public wants and what lawmakers decide the state can pay is a reminder of how tight Arizona’s budget remains a decade after the housing boom ended and the Great Recession cut a path of destruction through the economy. With no significant tax increases and a series of tax cuts behind it, Arizona has in the past 10 years seen state government’s buying power weakened and its priorities shift. Prison spending — including privately owned facilities — and child services have seen significant spending surges compared with 10 years ago. Medicaid and K-12 education have gotten much smaller bumps. Meanwhile, other areas of the budget, ranging from public safety to higher education, endured sharp cuts during the recession that have not been restored. Today’s improved finances are still fragile and expected surpluses are small. The state is forecast to collect about $24 million more than anticipated spending in the next year, or about 0.02 percent of spending. Ducey’s third budget proposal, due Friday, could move the state closer to prerecession spending levels. Lawmakers are planning for a fiscal 2018 budget that could top the $9.6 billion general-fund spending plan the Legislature passed for 2007. Recent estimates suggest the 2019 budget reaching $10 billion from the general fund. Those figures, however, don’t account for the effects of inflation. When that is factored in, the initial 2007 budget was more like $11.2 billion today. Tom Rex, associate director of Arizona State University’s Center for Competitiveness and Prosperity Research, traces the state budget’s erosion back to a series of tax cuts over the past 25 years. The nonpartisan Joint Legislative Budget Committee expects Arizona’s budget will reach $10.5 billion in 2020, suggesting the growing state will continue to offer less to its residents long after the funding crisis has ended. And Arizona has added more than 500,000 residents just since 2010, meaning leaner budgets have provided services to a state that has grown by more than 8 percent. EDITORIAL: Ducey gave a good speech, but where’s the money? Legislative leaders said they believe Arizona is rebuilding to prerecession funding levels, but it’s happening slowly. The level of recovery hinges on economic growth, he said. Likewise, House Speaker J.D. Mesnard, R-Chandler, said most of the budget recovery will come from economic growth, rather than tax hikes that would increase state revenues. 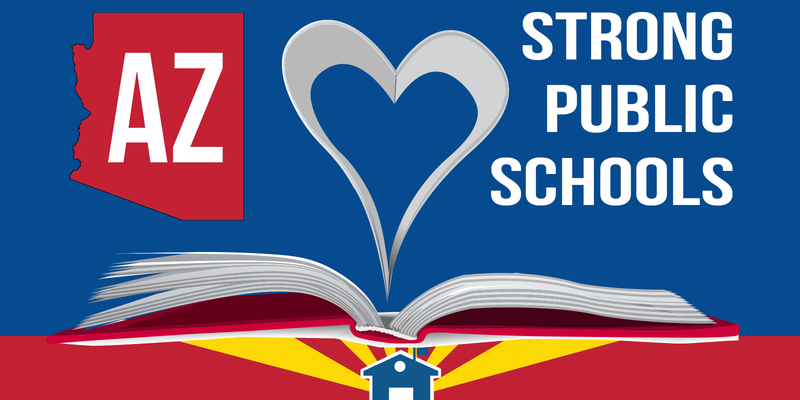 “I think we’re on our way,” he said, noting that Proposition 123, which is expected to send $3.5 billion to Arizona’s schools over the next decade, helps reshape the budget. The Arizona Schools Now coalition, which is pushing for a sustainable, substantive boost in education funding, says K-12 spending today has only recovered 18 percent from what it was prerecession. A lawsuit settled last year by Prop. 123 gave the schools 70 percent of the interest they were shorted during the lean years, but the $3.5 billion from the measure doesn’t help baseline spending. Karen McLaughlin, director of budget and research for the Children’s Action Alliance, which advocates for family issues such as health, education and security, sees little progress. In an interview with The Arizona Republic last week, Ducey, whose first proposed budget was for fiscal 2015, defended his contributions to the direction of state spending and predicted brighter days ahead with Donald Trump’s presidency. The governor said the problems of the past are finally giving way to a future that should help the state’s coffers. If it happens, it will be a major shift from the past decade. The state’s three public universities have seen the biggest drop in cash support from the state since 2007, $247 million less from the general fund, according to JLBC figures. That amounts to a 26 percent cut, some of which has been offset by increased tuition costs for students and their families. The School Facilities Board, which provides maintenance support for schools, received $186 million less in the current budget than it did a decade earlier. None of the state’s largest agencies suffered a deeper cut than the 45 percent decline there. Mesnard said he is concerned with finding the funding for capital improvements in the schools, and that’s an item that is not recovering to anywhere near prior levels. He wants to see some money directed toward school construction and repairs, which have gone unattended for years. The Arizona Center for Law in the Public Interest has been threatening a lawsuit on the lack of funding for more than a year, and many are expecting it to hit this year unless the Legislature takes action. Public schools remain 16 percent below their prerecession per-pupil funding levels from state and local sources adjusted for inflation, according to the Children’s Action Alliance. The state’s public-safety budget remained 27 percent below 2007 levels. Other areas of the budget, ranging from transportation to economic development, have collectively been slashed the most. Those relatively smaller agencies have seen their budgets hacked $660 million, or 51 percent since 2007. The spending side of the budget isn’t the only thing that has changed over the past 10 years. A decade ago, corporate income-tax collections approached $1 billion annually. This year, the state expects to take in about $454 million. Tax cuts enacted in years past will shave nearly $100 million from corporate returns and even more in the years to come, according to the JLBC. While corporate income-tax revenue has plummeted, other revenue sources have helped stabilize the general fund. For three years ending in 2013, the state charged an extra penny on its sales tax, which raised about $900 million annually. It helped bridge the worst of the downturn and voters long ago rejected extending that tax. Ducey convinced voters last year to boost payments from the state’s land-trust fund for 10 years with nearly all of the extra money going to public K-12 education. That is expected to pour $3.5 billion into education over a decade without raising taxes on most residents. More traditional sources have also helped finance state government. Individual income-tax collections fell off sharply when the downturn began, in part because they reflect the capital gains from investment and real-estate markets. But they have largely rebounded. In fiscal 2007, for example, the state collected $3.7 billion from individual taxpayers. By 2010, that had fallen to $2.4 billion. By 2015, the state collected more income tax than it had before the crash. The tax collections continue to grow, though more slowly. Insurance-premium tax revenues have also blossomed recently. This year, the premium tax is expected to bring in $516 million, enough to overtake corporate income as the third-largest source of state revenue. Over the past three years, it has risen 28 percent. Even so, the outlook for the premium tax may be getting hazier. The bulk of the increase in revenues from insurance is due to the Medicaid expansion as part the federal health-care overhaul, known as the Affordable Care Act. Trump and the Republican leadership in Washington have vowed to repeal that system, though the timetable for this is unclear and the promised replacement is unknown. The JLBC ran through four scenarios, gauging their effect on health-care coverage in Arizona and their budget cost. In all cases, the state’s general-fund revenues would shrink. At one extreme, the general fund would fall $97 million if Medicaid coverage were dropped for 550,000 residents. At the other end, the general fund would lose $1.4 billion to keep coverage untouched. The changes likely won’t stop with health care. Proposition 301, which has added 0.6 percent to the state’s sales tax, is set to expire in mid-2020. Stakeholders in business and education have been working on plans for a long-term solution that could renew that tax or broadly remake the way K-12 schools are funded. And Ducey has not backed off his campaign goal of reducing the state’s individual income-tax rate to as close to zero as possible. He didn’t mention it during his State of the State speech on Monday, but it could represent another major shift in the budget at some point. The income tax is expected to bring in more than $4 billion this year and represents about 40 percent of the general fund. Recouping some lost income-tax revenue through a higher sales tax may be tempting but made harder because of how steep that tax already is. According to the nonpartisan Tax Foundation, Arizona had the 11th-highest local and state sales-tax rate in the nation in 2016. However these changes unfold, Arizonans can probably expect more state-budget volatility.